Two group largely unaccountable, police and CEOs. Great video link Elaine. Thanks. William K. Black wrote a book titled “The Best Way to Rob a Bank Is to Own One.” In the following video from 2010, he talks about fraud on Wall Street. When the money runs out, only gated communities located on Europa will protect people like Jamie Dimon. For a small fee in our connected age, one’s whereabouts can be known 24.7.365. How do you make a little money…. Work for a bank…. How do you make lots of money…. Run the bank….. I am sorry, but I do not have the ability to edit comments. These banks are the playthings of the Federal Reserve. Rafflaw, you must continue to dig. There actions will betray your trust in the system. 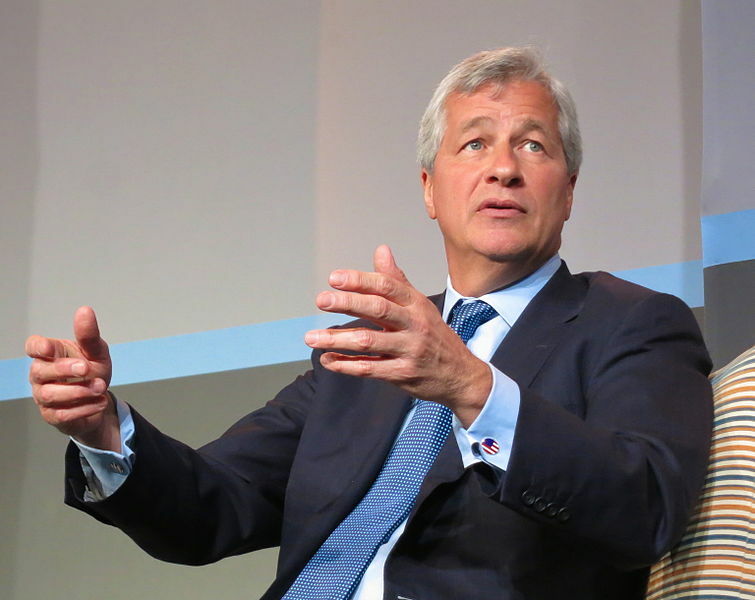 You’re right to label them as criminals, but you must know that people like Dimon aren’t bright enough to execute these schemes without the official sanction of greater powers. Yes, crime does pay very well for the criminal and corrupt bankster cartel. Not one banksters executive has been investigated or punished for their overseeing of financial crimes. Recall that HSBC was convicted of money laundering for drug cartels and they just paid a fine. No criminal prosecutions of individuals. But if some small time drug runner gets busted, he will spend years of hard time. Oh, and the statement, ‘the Board of Directors did struggle with the decision to almost double his compensation.’ is rather comical. They probably wanted to TRIPLE his earnings but thought the publicity would not be very good. Bankster boards are simply like-minded bankster types that want the big bucks as well. They are not in the game for ethical or moral reasons, but they are in the business to make gobs of cash. I think that statement says all that needs to be said about why banksters have not paid a price for their crimes, but are instead rewarded. Matt Taibbi is awesome. Thanks for the link, Elaine. It was rather horrifying, though, that the female “reporter” suggested that Jamie Dimon could be Treasury Secretary if he was asked. Egad.